I am so excited to be on the Design Team for Crafter's Companion USA. Envelobox board is one of my favorite tools they offer. This tool is so awesome, you can make envelopes any size and any depth. This is so perfect for bulky or specialize cards. 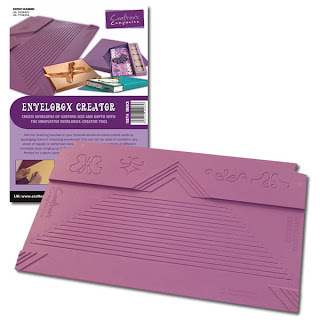 Crafter's Companion is so generous they have given the entire design team an Envelobox to give away on their blogs to one lucky U.S. resident! You can win this awesome tool by becoming a follower of Crafter's Companion USA challenge blog and leave a comment on this post. You must do this to win. For more chances to win, post about this giveaway on your blog or sidebar and become a fan of our Facebook page. After doing each of these things, please leave a separate comment here to increase your chances of winning. **This giveaway will run for one week from August 1st through August 7th. I will pick a winner on Monday, August 8th. Every single design team member is giving away an Envelobox board, so be sure to check out all their blogs increase your odds of winning one of these awesome tools. You can find their blogs on the Crafters Companion Information Blog. very cool tool & give away! I'm a follower of the challenge blog! Wow what a great tool would love to win it. I have been a crafters companion facebook and blog follower since January have been longing for this tool. Thanks for the chance to win it. What a fun and totally useful tool! Thanks for the chance! How generous of Crafters Companion! Would LOVE a chance to win the Envelobox Creator! I am a follower of the Crafter Companion USA blog. I "Like" Crafter's Companion on Facebook. would love to win this great tool. thanks for the chance to win. I already follow Crafter's Companion USA challenge blog! Thanks for a chance to win!!!! Love this tool! Thanks for sharing--I'm following Crafter's Companion Challenge Blog and Facebook! Awesome giveaway. I am now a follower of Crafter's Companion. I went to FB and tried to "like" the link, but kept getting an error when clicking on the url. I added the button and posted a blog entry on my blog about Crafter's Companion and put a link to their blog. Thanks for the chance to win a kewl tool. I follow CC's Blog and yours! Would LOVE LOVE LOVE to win this!!!!! I shared on my blog!! I'm a huge facebook fan! I love the projects that have been made with this tool. Looks like a must have. Thanks for the chance. What a great tool! I would so love to win this. Love crafters companion!! Am already a follower! thanks for chance to win. Love Crafter's companion! Liked them on facebook!! thanks for chance to win. I am a follower of the Challenge blog. Okay here goes - I want to win this thing in the worst way!! Thanks for giving me one more chance to win. Great blog and giveaway - love your creations. Craftes Companion has the neatest stuff. Will be sure to spread the word and Bindy rocks..
Love to try this. I like Crafters Companion on Facebook and follow their challenge page. I'm a follower of the challenge blog. Thanks for the chance to win. Wonderful prize. I am now following CCCB. Would love to win one. 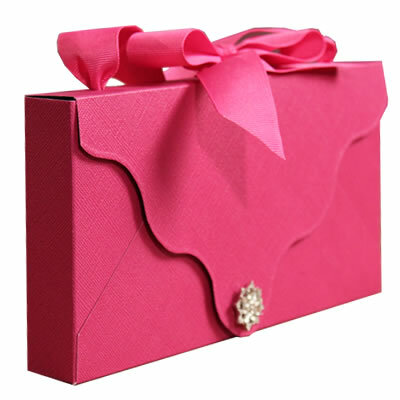 I just became a Facebook Fan of Crafter's Companion and am thrilled at having an opportunity to win the Envelobox! I became a follower of Crafter's Companion Challenge Blog and loved all the ideas that were shown! I especially liked the ideas using the envelobox! I am a follower of CCCB! I am a fb fan of CC! Thanks for the chance! Follower and fan! I'm really looking forward to using this...thanks so much! I am a new crafter's follower. I have become a follower of Crafter's Companion USA challenge blog (as molossus on GFC). I'm a follower of the challenge blog now!